In life, there can only be one sole Survivor. Or maybe that's on TV. Whatever. Reality, fantasy, blah blah blah. It's all the same. At least that's what I keep telling the men in white coats. But will they listen? No! It's all "More lithium now!" and "Strap her down!" Anyway, my emphasis was actually meant to be on "sole." Because, while there may only be one sole Survivor, I believe that when it comes to closets, soles should be plentiful. The more the merrier (like the voices in my head). 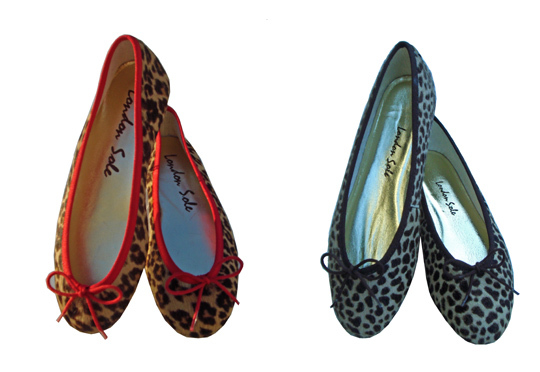 That's why I had to rave about the above London Soles leopard print ballet flats on Mondette.com. 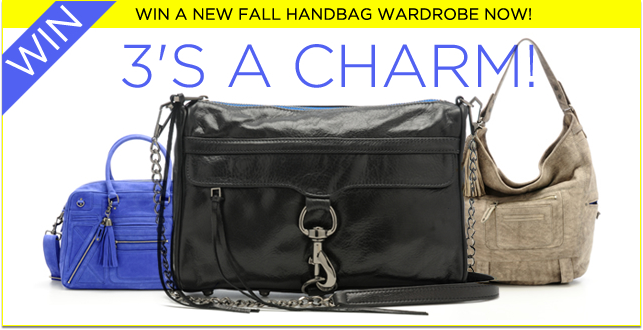 Such a great accessory to add some punch and shake up the status quo. 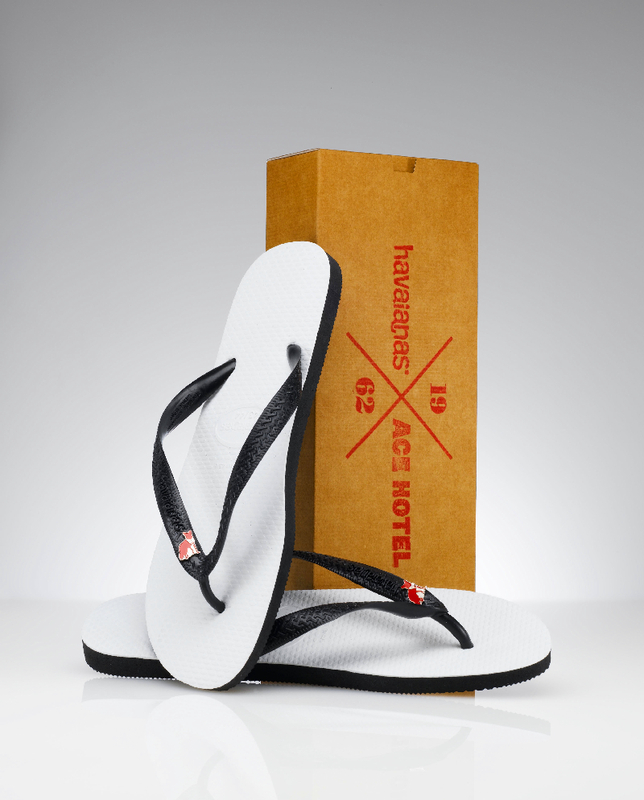 Plus, the U.K. company chose to target LA before NYC, so you can visit the shop right here on our west side. Because you and I may not have the soul of a leopard (or so the doctors claim), but we might as well have the sole of one. Not that I would ever complain about the myriad spa treatments I experience for work's sake (somebody has to do it), BUT, after careful research and extensive study from here to India and back again, I'm going to go right ahead and say, I'm not a big fan of the scrub. Part of what bothers me is the occasional sponge bath element, where a massage therapist rubs off the crystals with a damp cloth. It just sort of feels like it's for old people or something–eeks. On the more sane side of things, I also just feel like it tends to be a slightly chilly experience, as you're lying wet on a table in open air, and sometimes it just sort of hurts. What? I'm a sensitive lady? CAN YOU NOT TELL? ANYWAY, this is all to say that I was really pleasantly surprised when I experienced The Spa at the Four Seasons Beverly Hills' Manipura Experience last week. The hotel is just finishing up a multi, multi-million dollar renovation (which includes a pool with a PADDED bottom BTW) and so I took a tour of the newly redone Presidential Suite (swanky) and also got pampered at the spa. The 90-minute treatment starts with a scrub, which is just WAY less abrasive than the usual ones. Also, you're a bit damp, but not too wet during the process, so you're never cold. Really, is there anything better than a heated massage table? Like I need one of those mofos at home. For real. ANDRE! Are you listening? Anyway, then I got to shower off (without help, thank goodness) and then was rewarded with an hot poultice massage. Gotta love that. Poultice massages are most certainly the thing at spas across the country, as–in the last four months–I've experienced them at Vegas' Aria Spa, Upstate New York's Mohonk Mountain House and now here. Basically, they wraps herbs and good things in a soft version of cheese cloth, tie in up like a pouch, heat and wet it and then press it into your body like a tool for kneading. I think I have a good massage therapist to thank for my lovely treatment. 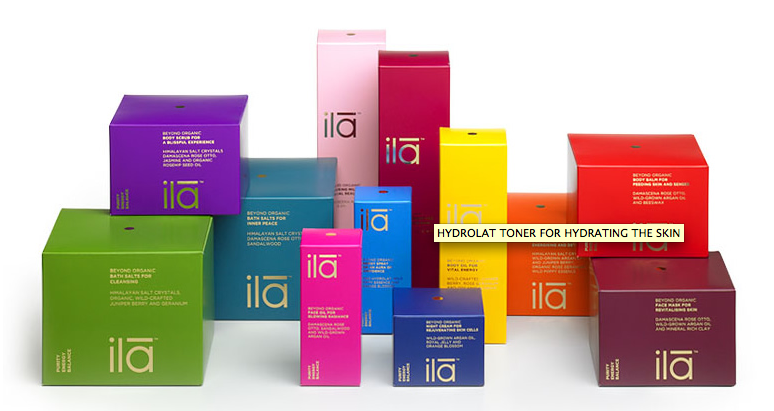 But I also think the new ila products the spa is using are just awesome. First of all, I heart the packaging. Secondly, the British line is natural and pure and stuff, so you get to feel virtuous about using it. I do think maybe inside the Four Seasons Spa may in fact be the best way (at least in L.A.) to experience the products, though I really wouldn't mind popping a few candles around my house and some bath salts in my tub to test that theory. Are you listening? ANDRE! I admit it. In middle school, I was the girl doused in gallons of Calyx by Prescriptives, making fun of the boys drowning in vats of Drakkar Noir. What? They don't teach little girls how to appropriately apply perfume. And, anyway, even if they did, we'd clearly forget the "moderation" lesson by the time we hit the retirement home. We all know that's when perfume overdosing rears its ugly head once again. Sometimes, just the essence of a fragrance is best of all. 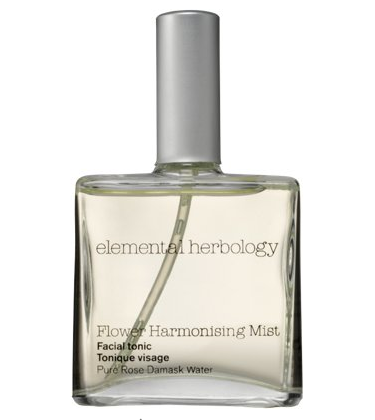 That's why I've been carrying Elemental Herbology's Flower Harmonising Mist (created in England). Like Jurlique's Rosewater Balancing Mist (which I also LOVE), it's actually meant to be a "Facial Tonic." Basically, it's like a toner that you can spray on your face all day long to refresh. But it also smells all rosy and amazing and summery and light. It's the perfect minimal fragrance and makes your skin look all dewy. 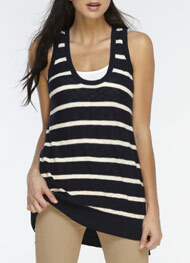 Perfect for the upcoming warm weather months and eventually for the retirement home. So, I'm too hot to be inventive or to change the sizes of all these great other pics I have in my arsenal. Instead, I'll just tell you that Claudette and I spotted the above ice cream-filled Rice Krispy treats at Whole Foods the other day and Mike & Ike popsicles at the new shmancy Pavilions. 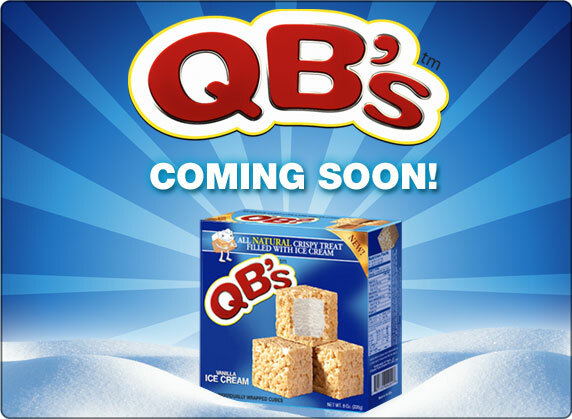 I'm expanding lately, so I'd really appreciate someone ELSE trying these sweet new mofos for me. Yup, then I'll ask you to pee for me too. Also, would you mind cleaning my house? Like a regular Coke (for diet soda drinkers), French Onion Dip (maybe on July 4th or at a Super Bowl party) or cherry Lifesavers, Jolly Ranchers are delectable old standards that one only eats now and again. Still, each time I come across one and pop it in my mouth, I remember how damn good they taste. Ah, the flood of (mostly camp) memories: wanting to go home, hating sports, waking up to a horn at ungodly hours. Jeez. It's a wonder I still like them. One of the main reasons I so seldom come across those Jolly old candies, though, is that they come in separate little individually wrapped situations inside bigger bags. 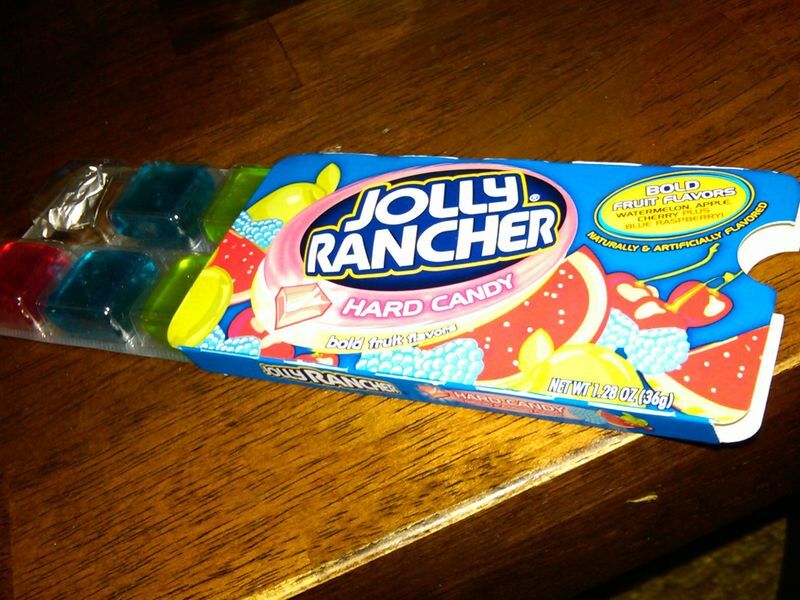 So, when I spotted this new Jolly Rancher packaging a la Orbit gum for something, I had to grab it. And, seriously, the whole made me so happy yesterday. Is that sad? Don't answer that. Anyway, what could be more genius? Now that. ladies and gentleman (and lint puffs, ahem), is what we call "PROGRESS."